A Bolt of Blue | Cool idea – Jewelry storage! 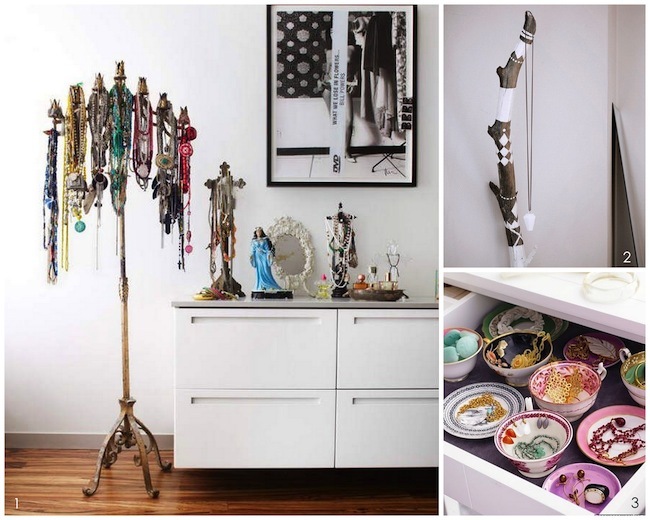 Cool idea – Jewelry storage! The older I get, the more jewelry I seem to acquire (need). I used to just throw all my jewelry in a jewelry box on my dresser, but when I wanted to adorn myself it was a struggle to untangle everything. 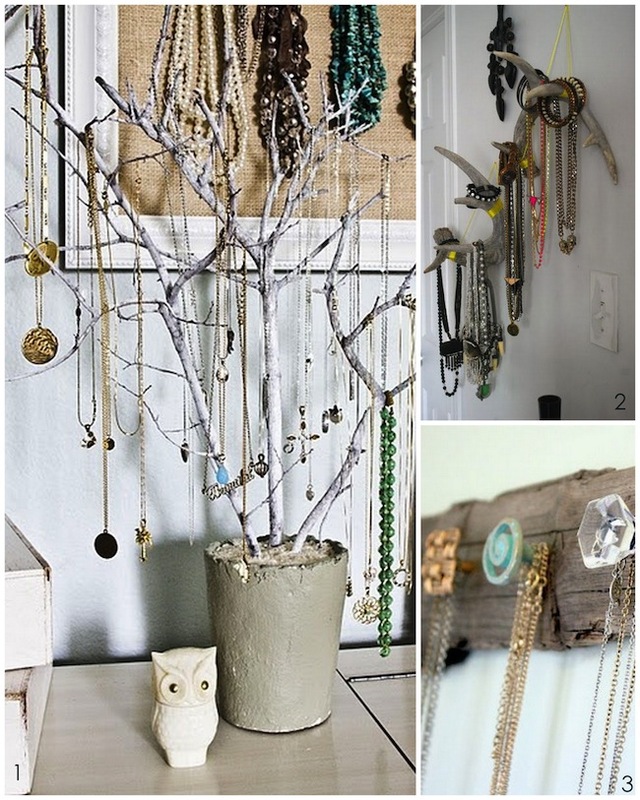 Once I moved, I got smart, I now hang my necklaces from a statue I have on my dresser, and then I keep my rings in one decorative dish, my bracelets in another and then my earrings. It’s way more organized. 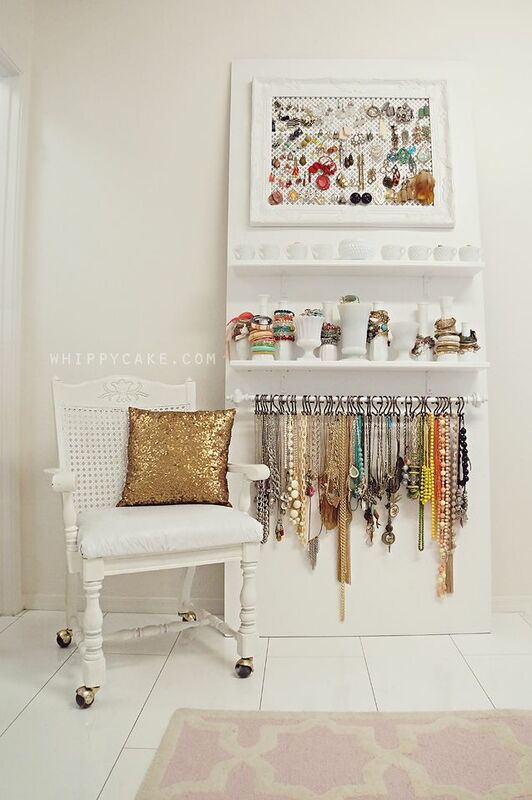 How do you organize your bling?